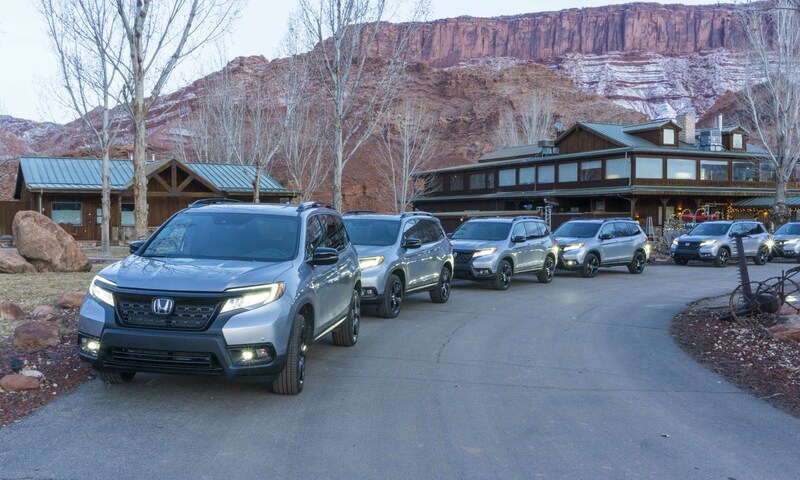 With so many models for U.S. customers, at first blush it would seem that auto giant Honda has a complete line of vehicles to meet every buyer’s needs. 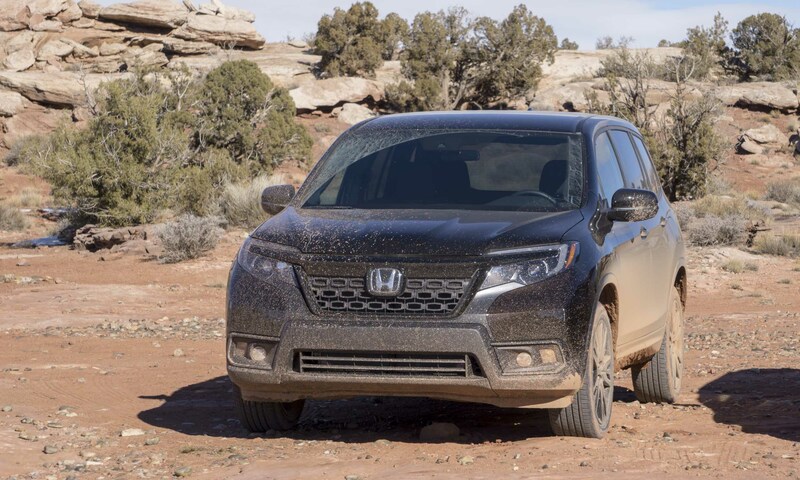 But those looking for a 5-passenger midsize Honda crossover have been out of luck — until now. 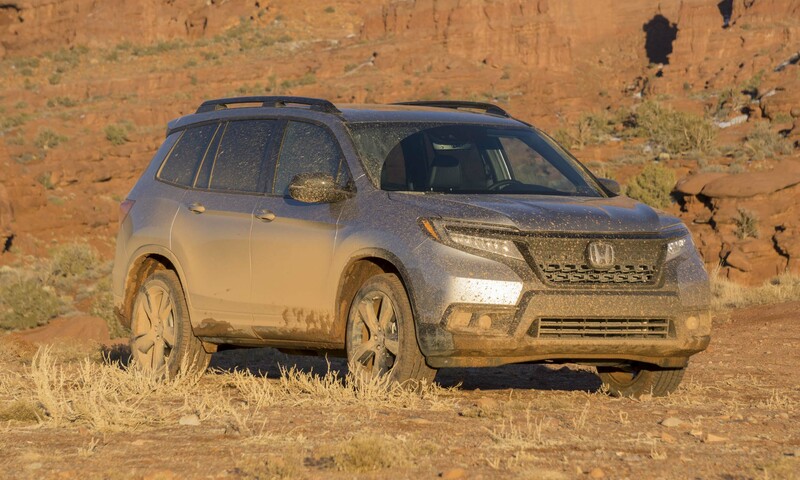 Honda created the all-new Passport to fill that gap, and based on our experiences on- and off-road, the SUV should manage the role extremely well. 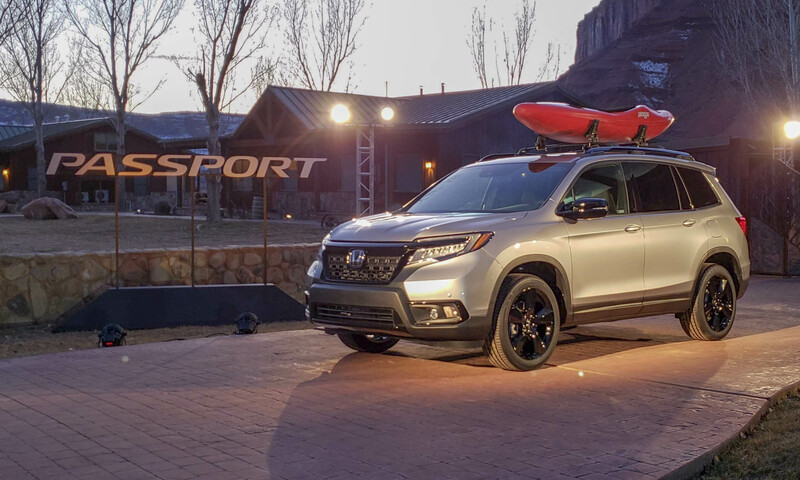 Passport shares Honda’s Global Light Truck Platform with the larger Pilot, but Passport is not simply a 5-passenger version of the larger SUV. 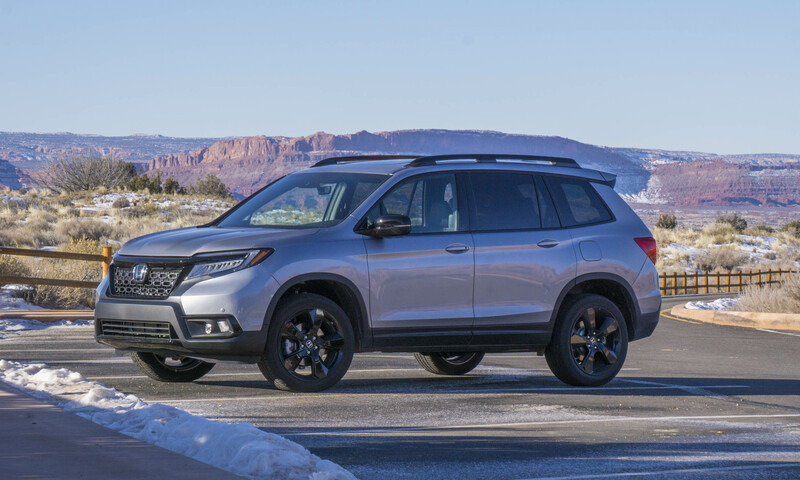 Passport rides on the same wheelbase, but it is 6 inches shorter, 1-inch taller and 1-inch wider than the Pilot, providing an overall sportier stance. 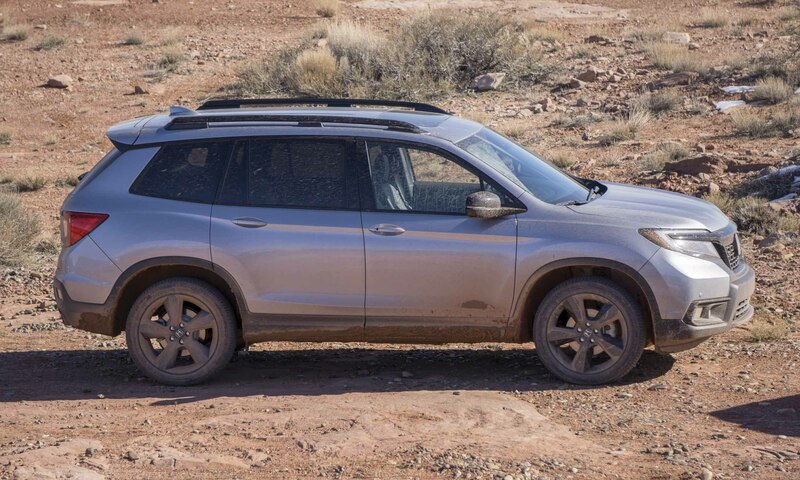 With high ground clearance as well as aggressive approach and breakover angles, the Passport is designed to excel both on and off the pavement. 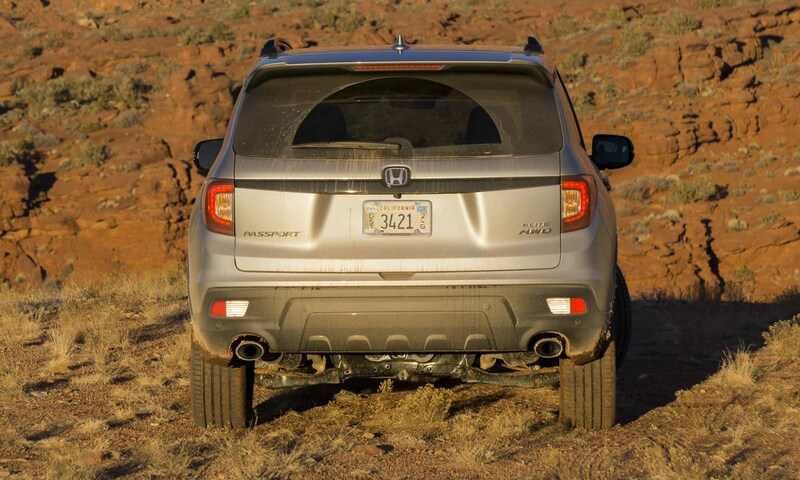 Although it has been a while, previously Honda offered a different 5-passenger SUV called the Passport. 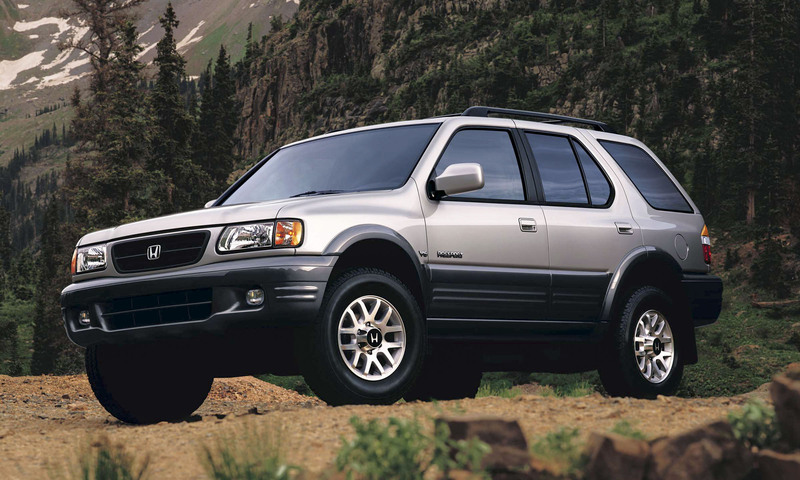 Sold from the mid-1990s through 2002, Passport was the first SUV Honda offered in America; it was built in partnership with Isuzu as a rebadged Isuzu Rodeo. 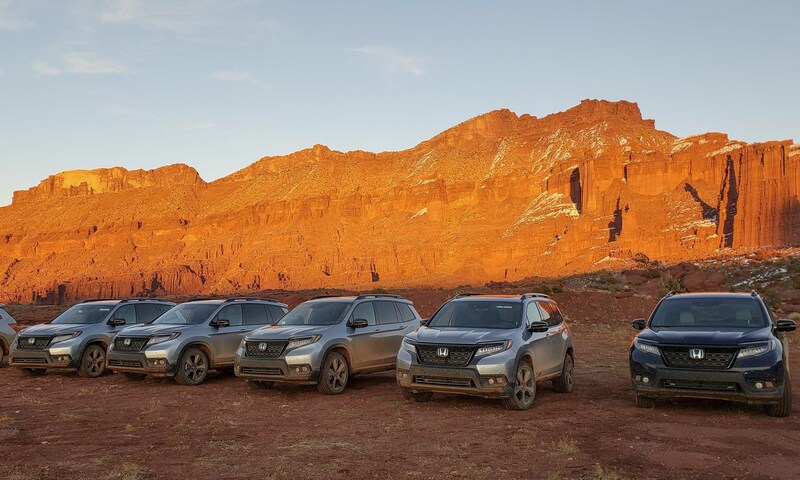 Isuzu no longer sells vehicles in the U.S. — suffice it to say this current Passport is all Honda and has come a long way from that original offering. 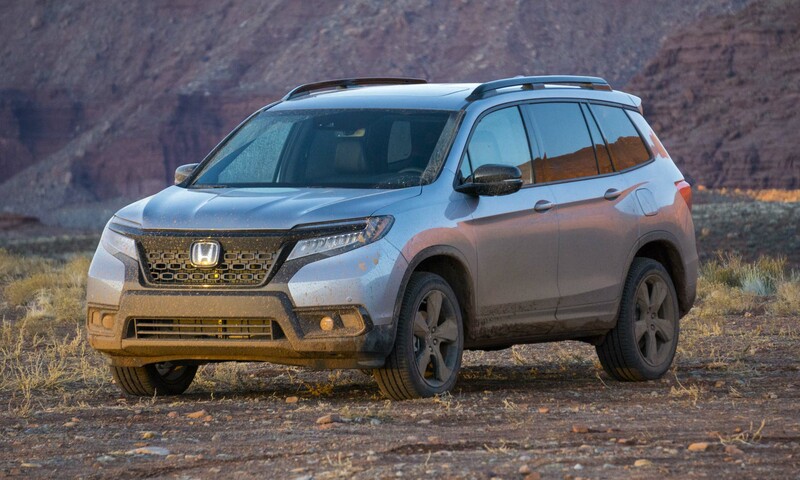 Although the new Passport has a similar stature to the Pilot, Honda wanted to properly differentiate the midsize SUV from a design standpoint. In addition to its more athletic proportions, Passport gets a blacked-out grille, headlight surrounds and fog light housings. The look is especially striking on light-color vehicles. 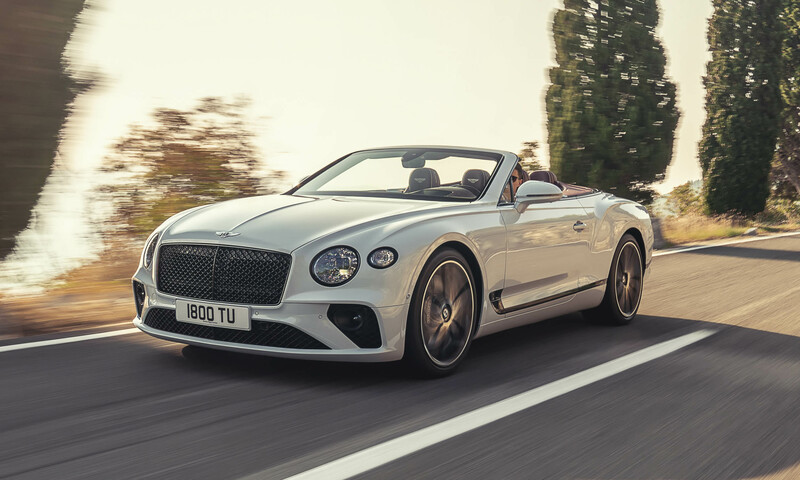 Matte-finish body moldings emerge from beneath the grille, travel over the wheel wells and along the lower body of the vehicle to the rear bumper. 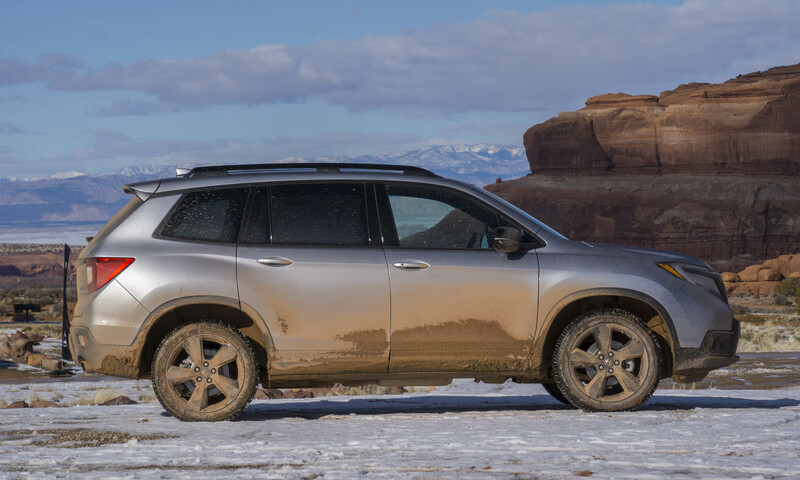 Not only does this help mask scratches and dings from off-road excursions, it appears as if Passport has an even higher ground clearance. 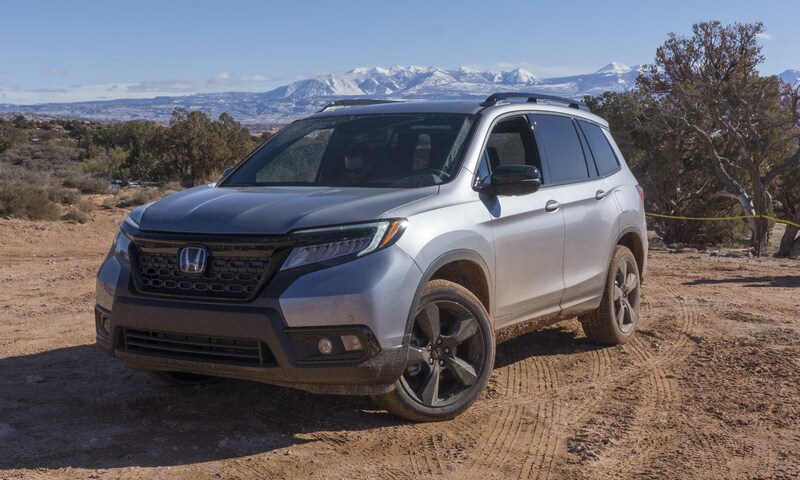 The 2019 Honda Passport is available in four trims: Sport, EX L, Touring and Elite. The Sport, EX L and Touring come standard with front-wheel drive while all Elite trims get Honda’s i-VTM4 torque-vectoring all-wheel drive as standard equipment. 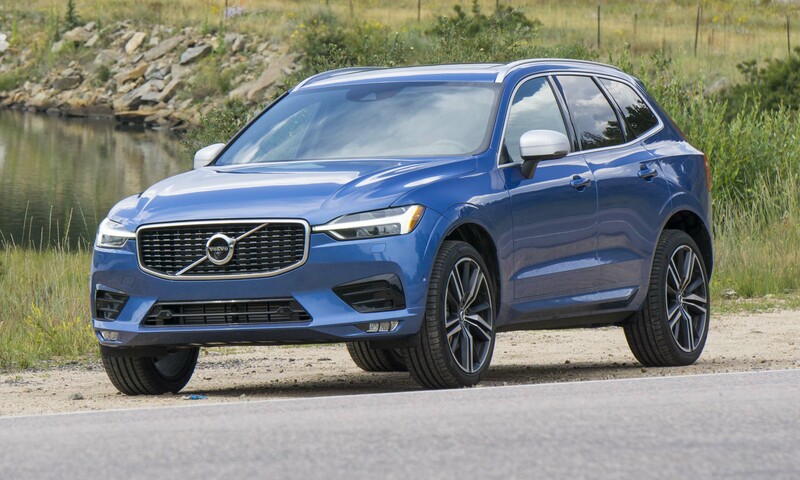 The AWD system is available on the other three trims for an additional $1,900. Honda does not offer any factory options. 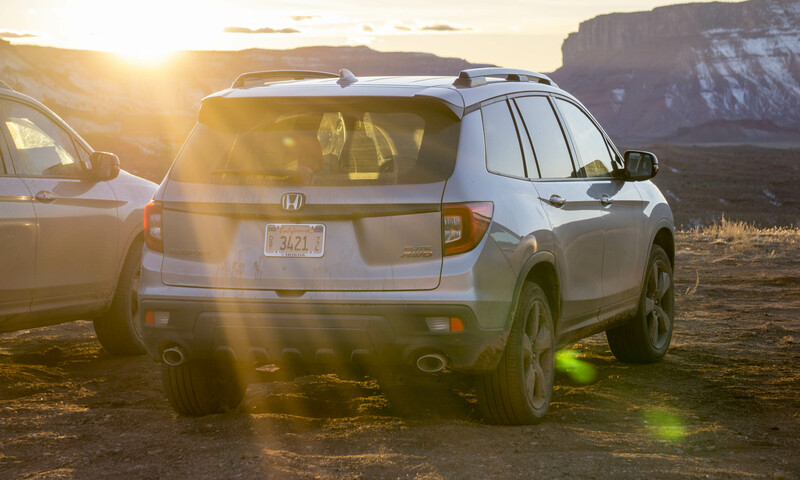 All Passports are equipped with the Honda Sensing suite of safety technology. 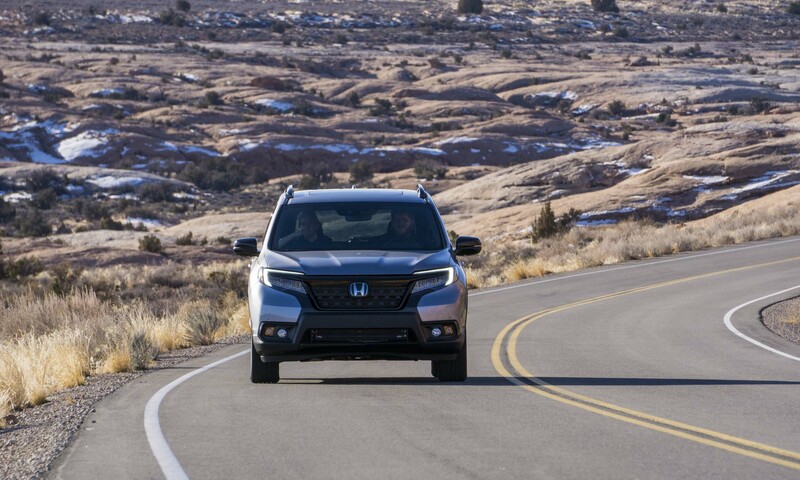 This includes forward collision warning, automatic emergency braking, lane departure alert, lane-keeping assist, road departure mitigation and adaptive cruise control. Automatic high-beam headlights are also standard across the board. 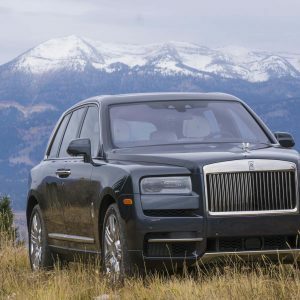 Even though the Sport assumes the position as entry-level trim of the Passport, it actually has an impressive list of standard features. 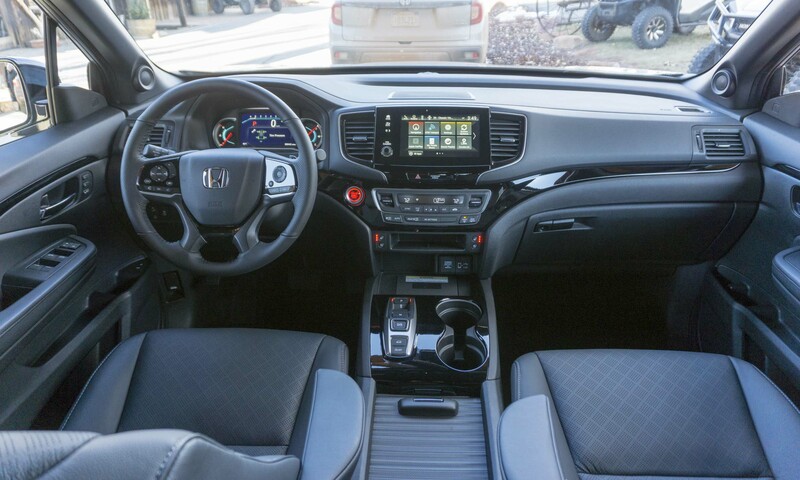 With a base price of $31,990, the Sport includes tri-zone climate control with air filtration, active noise cancellation, a 5-inch color display screen, a 152-watt audio system with seven speakers, pushbutton start, Bluetooth connectivity, two USB ports, a multi-angle rearview camera, LED low-beam headlights and taillights, LED fog lights and 20-inch alloy wheels. 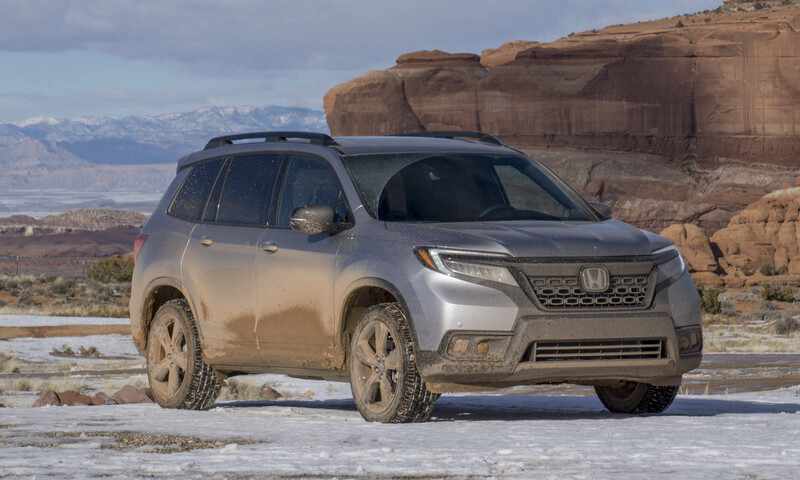 Honda anticipates the EX L is expected to be the most popular Passport trim, priced at $36,410. Upgrades over the Sport include a power moonroof, a power liftgate, Walk-Away Auto Lock, a 10-way power driver’s seat, a 4-way power front passenger seat, heated leather seats, an 8-inch high-resolution touchscreen display, a mobile hotspot, Apple CarPlay / Android Auto and two additional 2.5-amp USB charging ports in the rear seat. 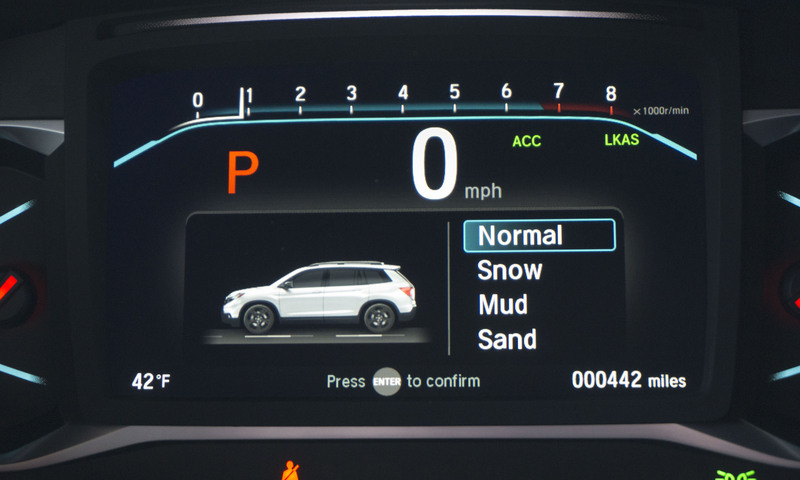 The EX L also adds a blind-spot information system. With a price of $39,280, the Passport Touring adds hands-free operation of the power tailgate, power-folding mirrors, acoustic glass all around, roof rails, front and rear parking sensors, LED low- and high-beam headlights, illuminated cup holders, GPS navigation, heated rear seats, a 115-volt power outlet, and a 550-watt premium audio system with 10 speakers. 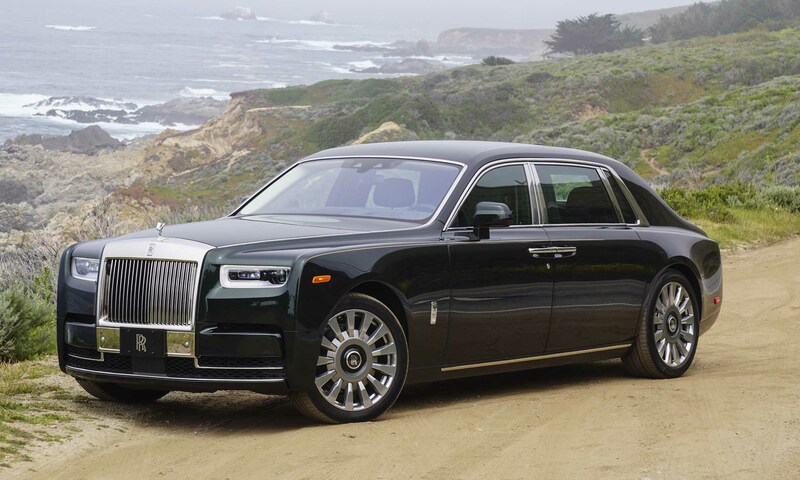 At the top of the Passport model line sits the Elite with a price of $43,680. The Elite has everything from the Touring trim and adds rain-sensing wipers, LED map lights, a heated steering wheel, ventilated front seats and a wireless phone charger. 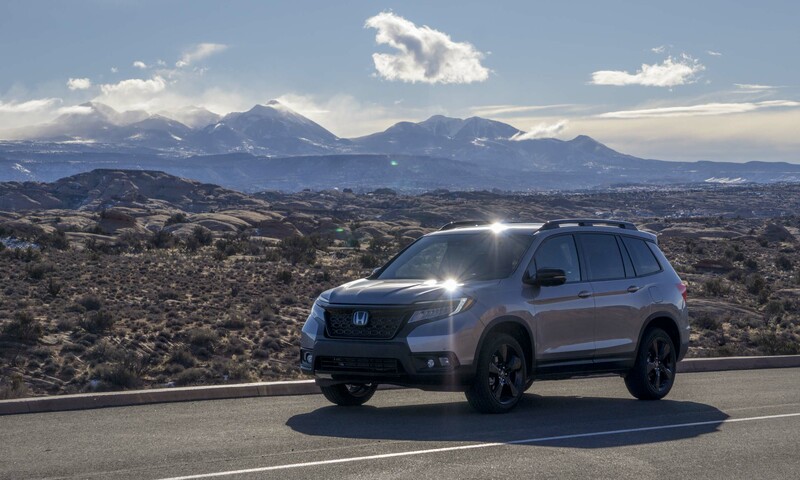 Powering the Honda Passport is a 3.5-liter direct-injection V6 engine that produces 280 horsepower and 262 lb-ft of torque — the only powertrain offered in the Passport. 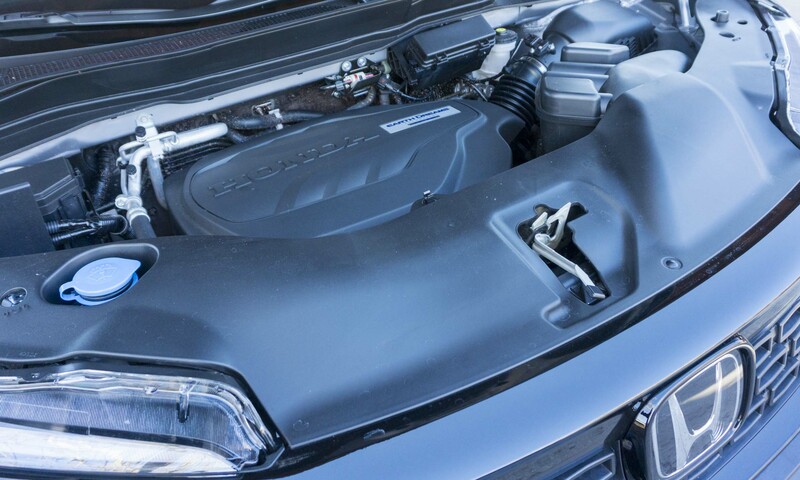 For improved fuel efficiency, the V6 has Variable Cylinder Management that deactivates cylinders when the load is light. 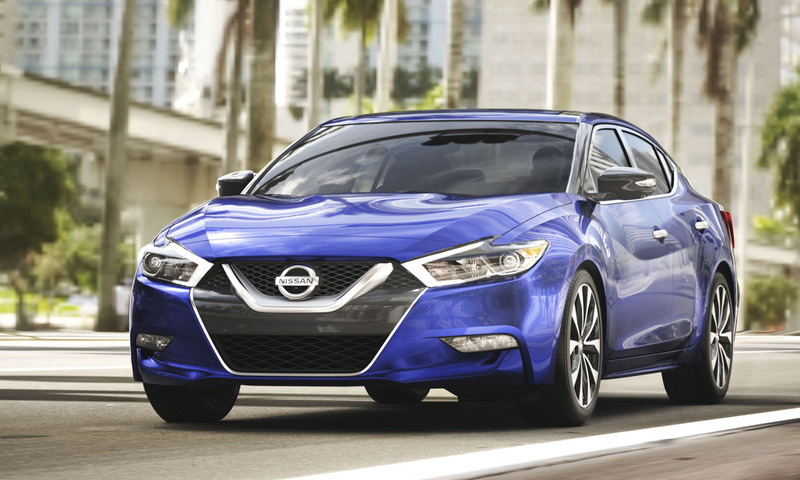 The V6 is teamed with a 9-speed automatic transmission with paddle shifters. 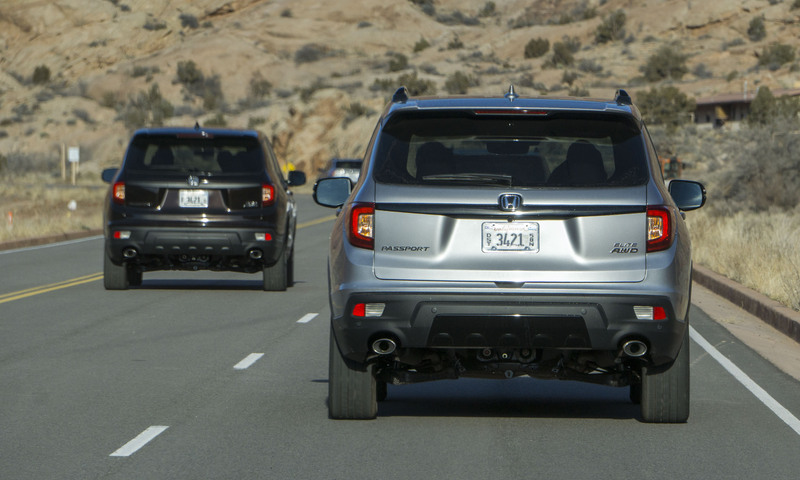 All-wheel-drive Passports have enough power to tow up to 5,000 pounds; front-drive variants can tow up to 3,500 pounds. 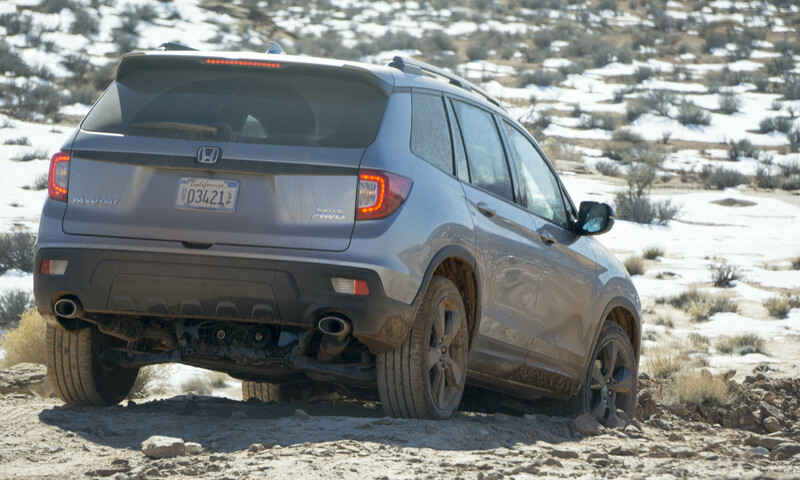 Honda offers one of the more advanced all-wheel-drive systems on the market. 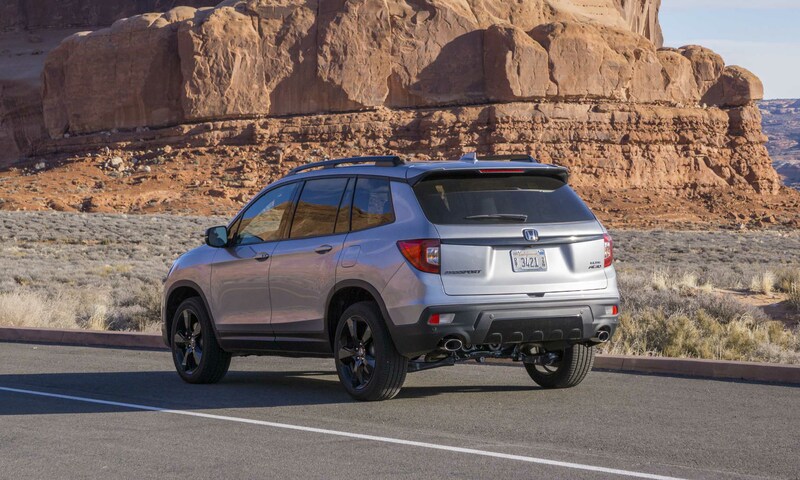 The Intelligent Variable Torque Management all-wheel-drive system uses an electronically-controlled rear differential and dynamic torque vectoring that helps with handling as well as off-road performance. The i-VTM4 system constantly adjusts the distribution of power and can send as much as 70 percent of the torque to the rear wheels, and 100 percent to each wheel individually. 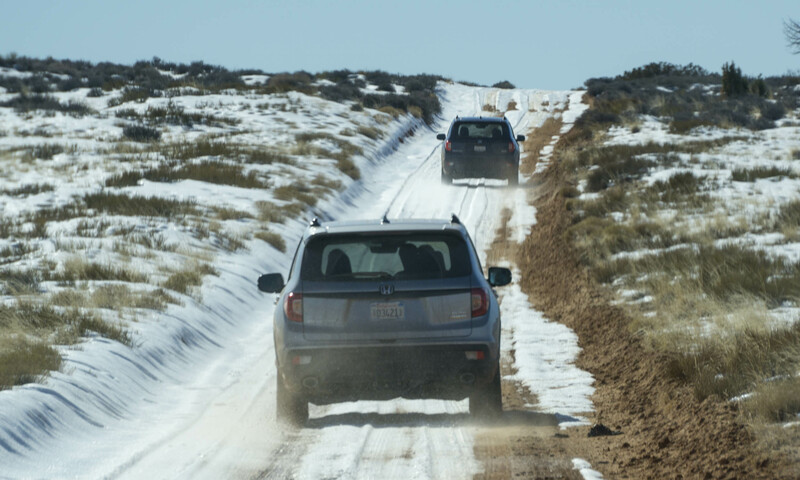 The Passport’s Intelligent Traction Management system allows drivers to choose the most appropriate drive mode based on current conditions. 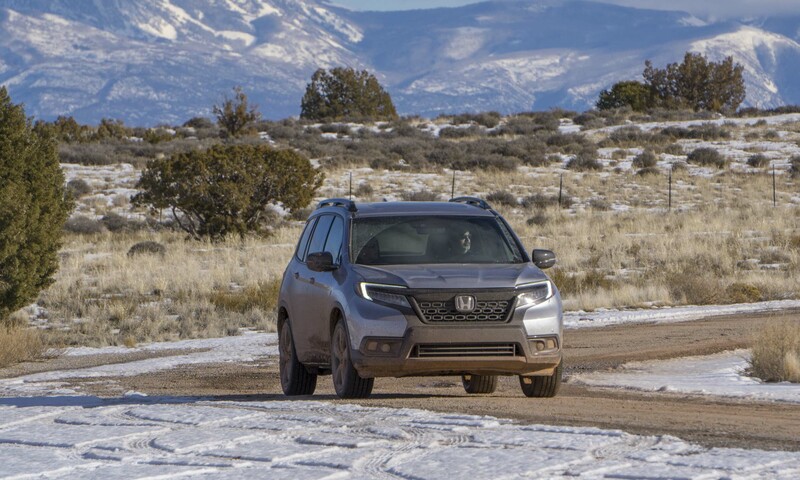 Normal, Snow, Mud and Sand modes get selected via a button on the center console and adjust throttle response, shifting, all-wheel-drive rear bias, torque vectoring and stability control. 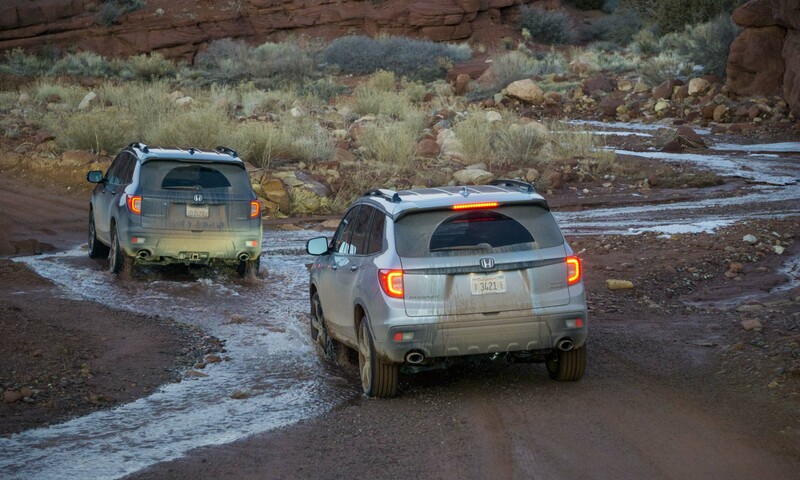 For example, Mud mode provides a less aggressive throttle and an even rear-torque split to keep the wheels from spinning on launch. 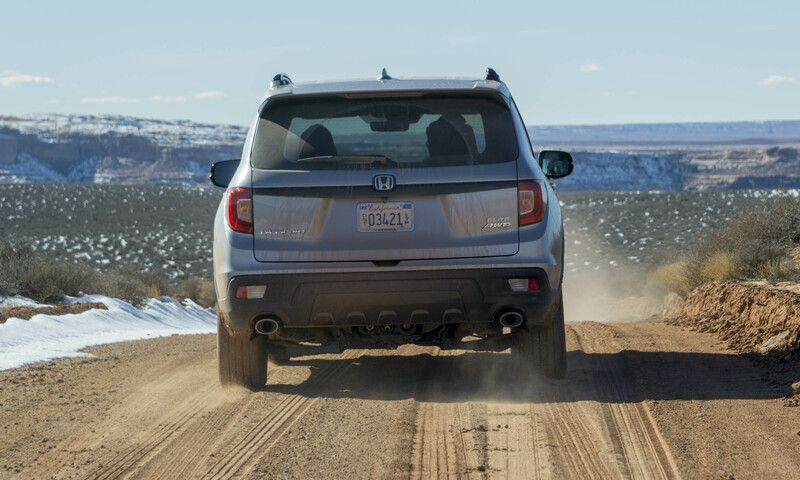 During a press drive, our preferred mode in nearly any condition was Sand, which provides the quickest throttle response, full rear bias and allows for more wheelslip to maintain momentum. It can be best described as a fun “sport” mode — no sand required. 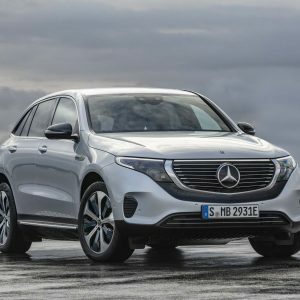 Since the new Passport possesses the same motor as the larger Pilot, one would expect fuel economy to be bit better in the new SUV. In the city, Passport fuel economy is rated at 20 mpg for the front-wheel drive, 19 mpg for all-wheel drive — slightly better than Pilot. 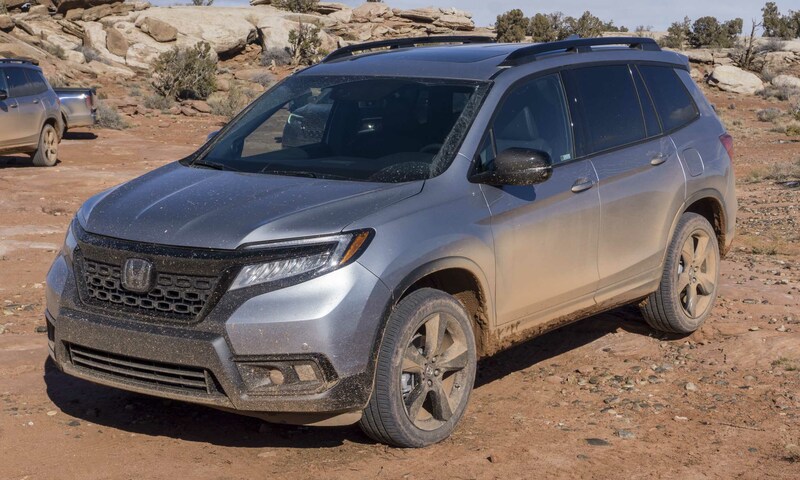 However, on the highway Passport is rated at 25 mpg for front-wheel drive, 24 mpg for all-wheel drive — a few mpg less than the larger Pilot. Combined mpg is 22 with front-wheel drive, 21 with all-wheel drive. The Passport offers a roomy cabin that feels high-tech thanks to a digital instrument cluster and properly integrated display screen. 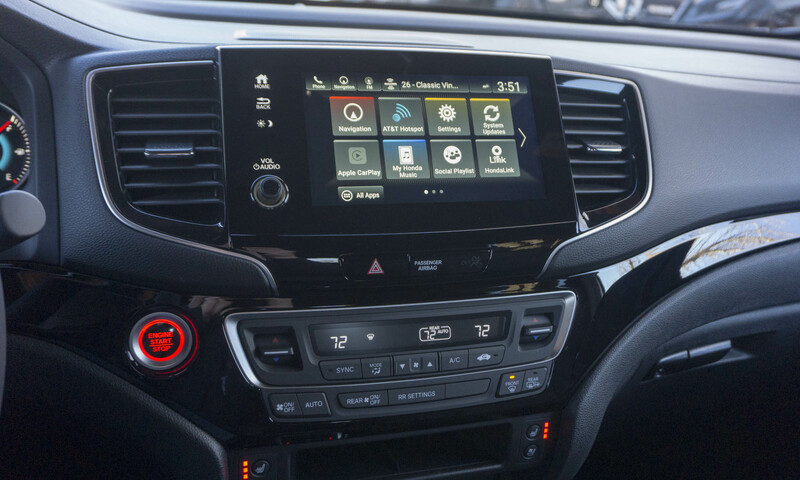 Many manufacturers have dash displays that feel tacked-on as a last-minute decision, so Honda’s smart screen placement is noticed and appreciated. On-screen menu selections are large and easily navigable. Although Honda gets props for restoring the volume control knob to the system (it had disappeared for short time), the tuning knob needs to make a comeback as well. Climate controls are separate so they are always accessible and easy to operate. Power outlets as well as the wireless-charging pad are intuitively placed. During our day with the Passport we spent most of our time in the top-level Elite trim. 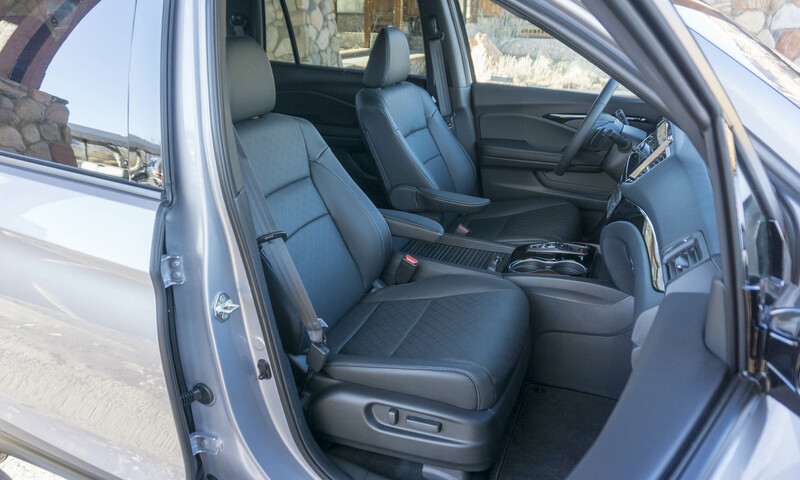 The leather-trimmed seats are comfortable with even heat emanating from the seat heaters. 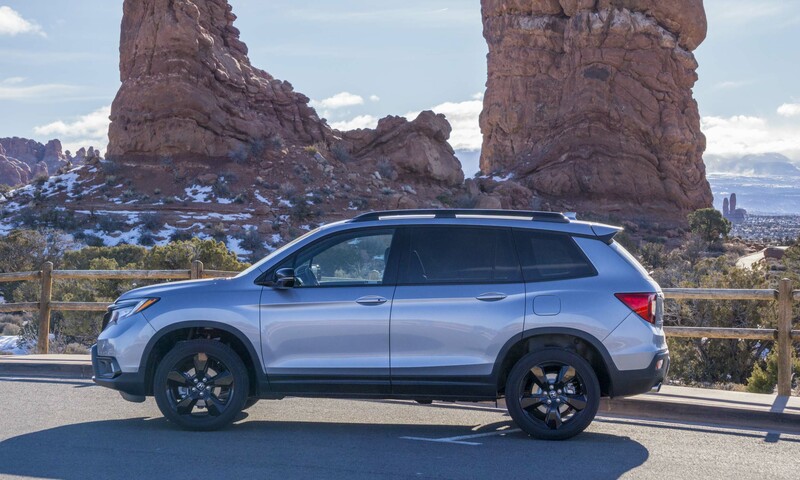 With bottle holders in the doors, large cupholders, roomy center storage and additional cubbies, the Passport has plenty of space for placing personal items. 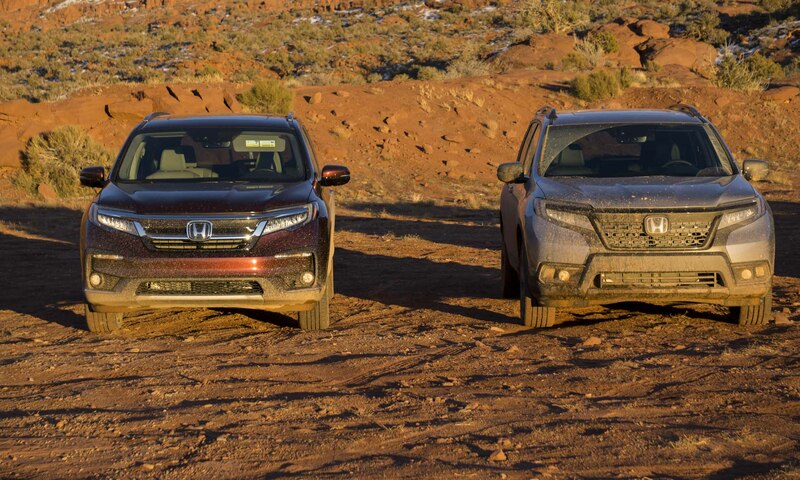 The Passport is smaller than the Pilot, but it doesn’t have to make space for a third row of passengers. This translates to a bit more legroom for folks relegated to the rear seats. In the second row three passengers would be cozy, but with the flat floor at least the middle passenger has the same legroom as outer positions. Rear seats are a bit stiff, although plentiful space means no one will feel claustrophobic. In the Elite trim rear-seat passengers have their own charging ports as well as climate controls. 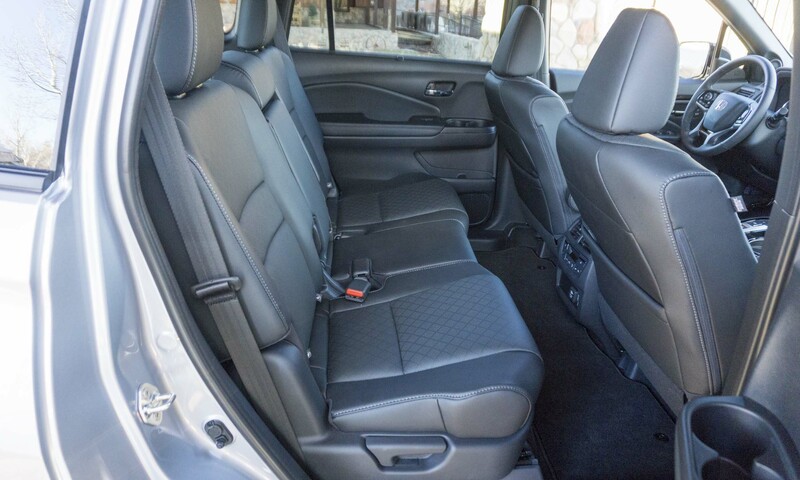 Passport also offers a spacious cargo area that can handle all sorts of outdoor gear, luggage, groceries or all-important golf bags. 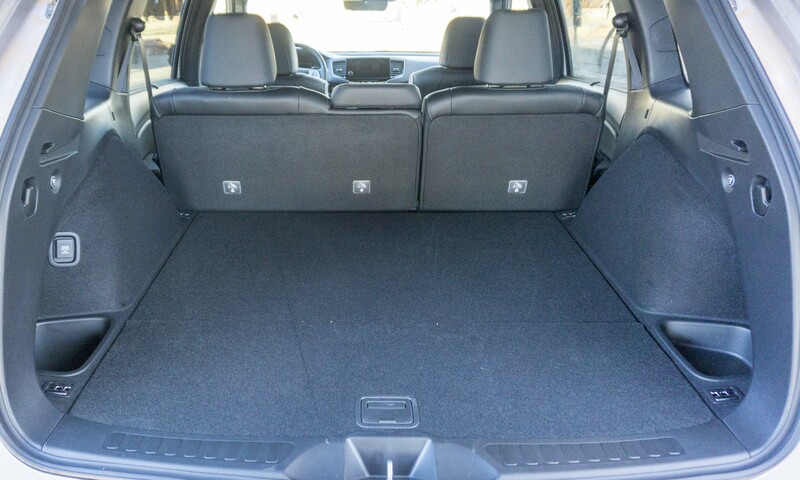 Rear seats fold flat for handling additional cargo. A 12-volt power outlet in the cargo space can be handy for powering devices while camping or enjoying other outdoor activities. 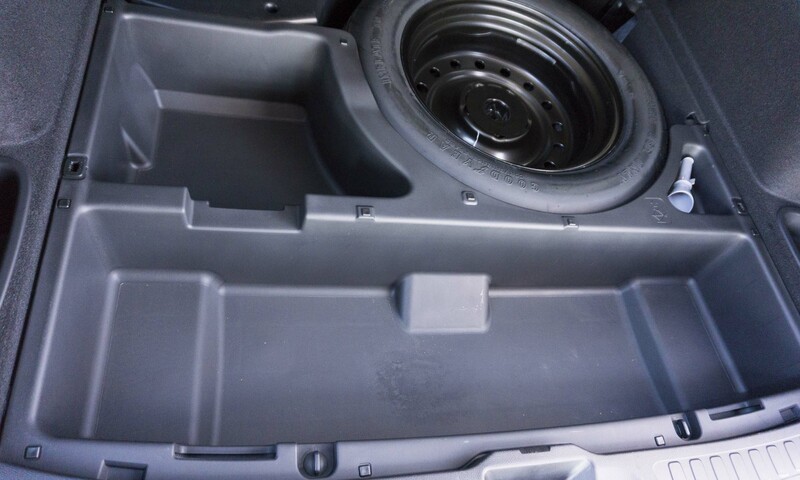 Beneath the cargo floor, Passport has additional space for keeping items secure and out of sight. The space can also be used for muddy or wet items since the plastic bins are easily cleaned. 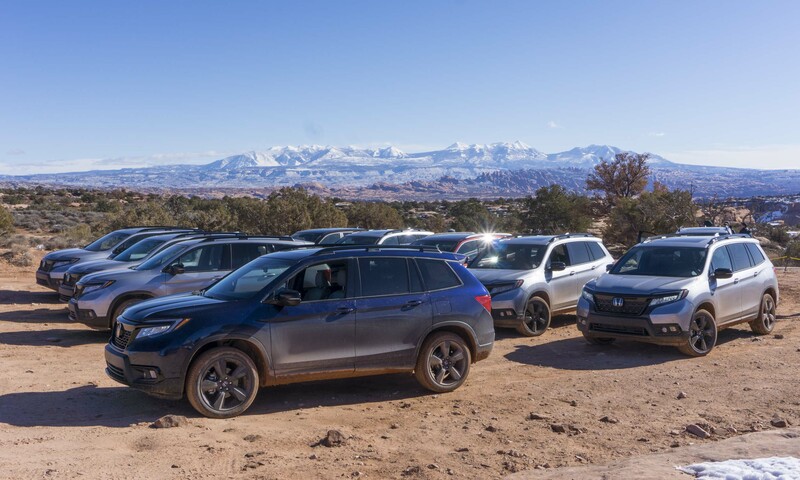 Honda brought a gaggle of auto journalists to Moab, Utah, to properly test the on- and off-road capabilities of the new Passport. 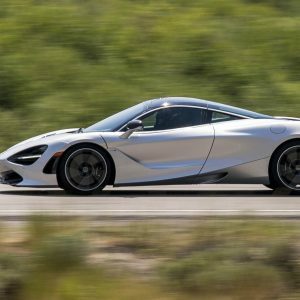 With 280 horsepower on tap we expected acceleration to be a bit stronger; however, power is more than adequate for most driving situations. The 9-speed transmission has extremely smooth shifts— almost to the point of not even noticing them. Although the new Passport rides on the same platform as the Pilot, the two drive quite differently. The Pilot has always felt a bit too bland for our tastes, although the Passport is a more interesting ride. 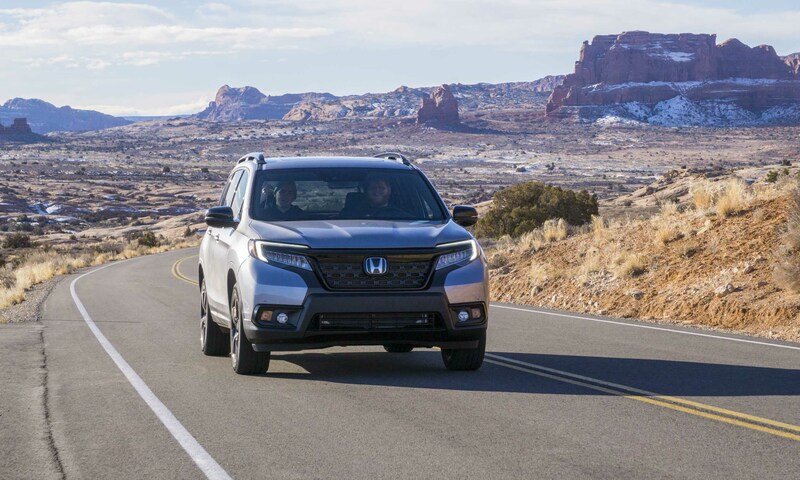 Honda equips the new midsize SUV with unique suspension tuning as well as quicker steering, so handling and overall road feel are much more engaging. 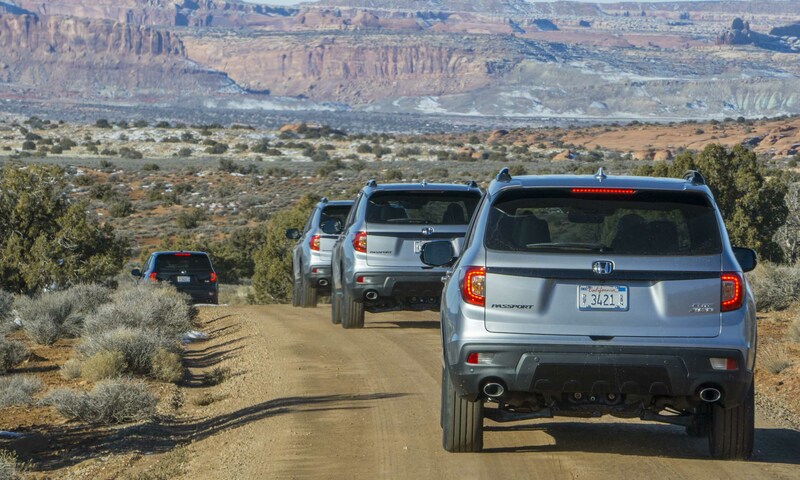 Honda is marketing the new Passport as an adventure vehicle, so heading off-pavement during our press junket was a fitting exercise to see what sort of adventure we could find. 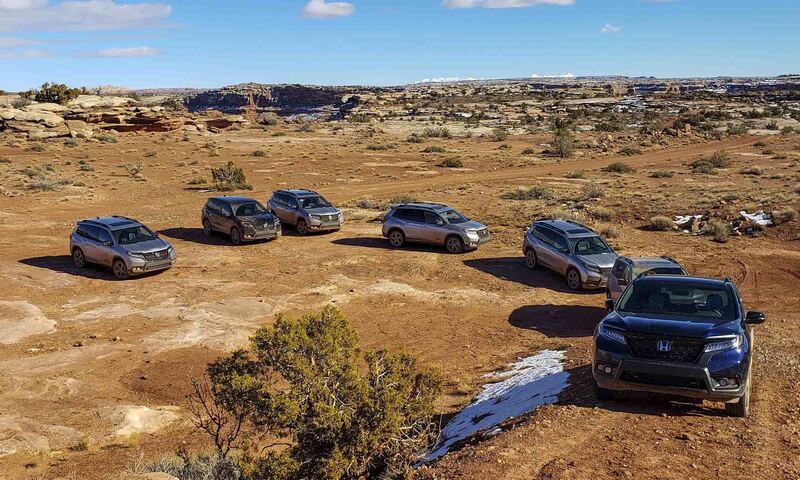 There is no hill-descent control or locking differentials, but the Passport is perfectly capable of handling most off-road situations typically-adventurous drivers will encounter. We experimented with different drive modes as the terrain changed and happily discovered a noticeable difference in performance between modes. However, the Passport performs fine when left in the default Normal mode. 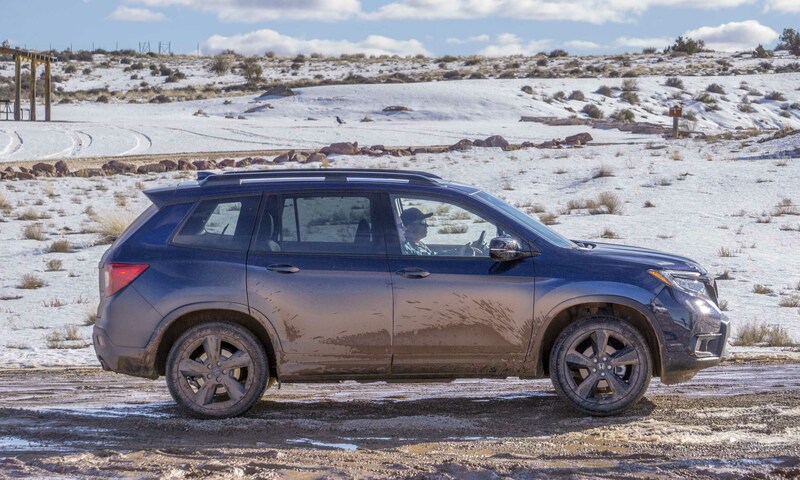 With a bit over 8 inches of ground clearance as well as short front and rear overhangs, the new Passport performs well in terrain ranging from snow and mud to clambering over rocks. 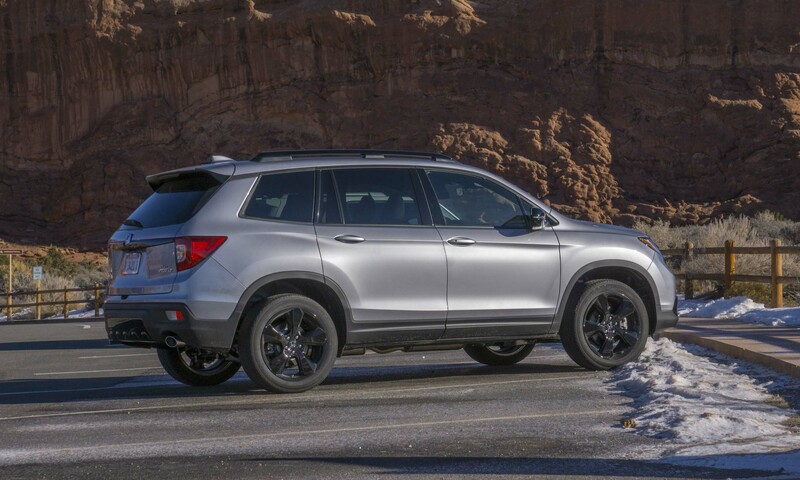 Honda has engineered Amplitude Reactive Dampers designed to improve the ride quality on all surfaces, and while this works to keep the ride smooth on pavement, when the route turns rough the ride can get rather jarring. Even at low speeds, during our press tour rough patches on the trail would have certainly spilled our coffee (if we had any left). 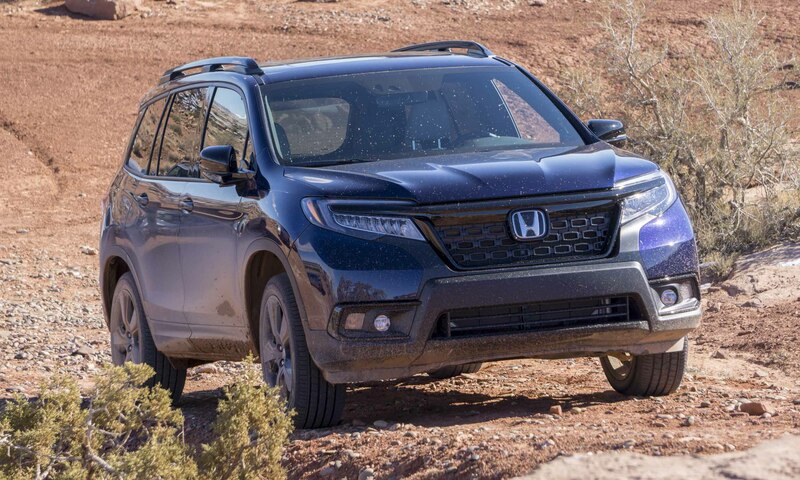 Honda needed to fill the gap in its lineup between the small CR-V and family-oriented Pilot, and the Passport settles into this position perfectly. 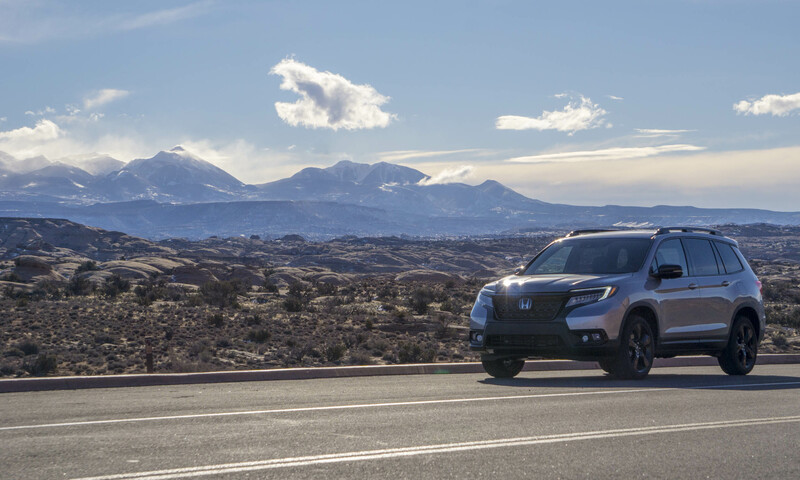 Styling and capability will appeal to those who like the idea of heading out on weekend adventures — even if it remains simply an unrealized idea — while the size and impressive utility will fit the bill for most consumers who want space but don’t need seven seats. 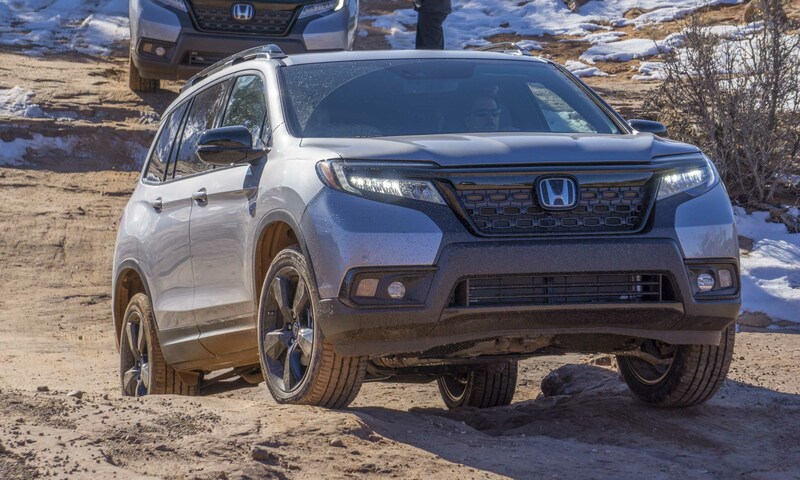 Add to this the engaging ride and off-road abilities as well as Honda’s reputation for building quality vehicles and the Passport will certainly shine in a crowded midsize SUV market segment. 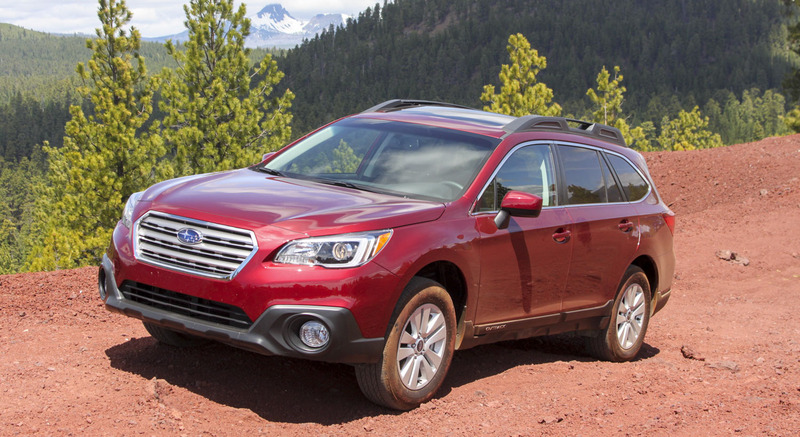 Pros: Capable off-road; sporty styling; large cargo space. Cons: Rough ride off-road; stiff rear seats; no tuning knob. 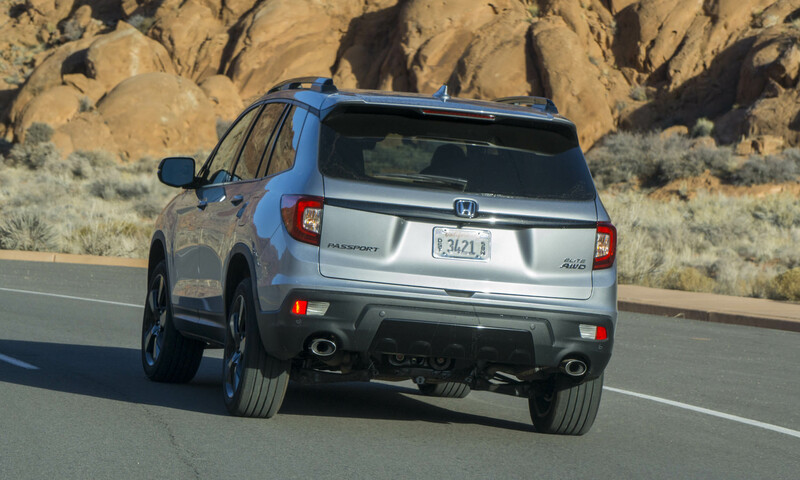 Bottom Line: Excellent mix of style, capability and drivability make Passport a worthy consideration.